Is It Safe To Get Tattoo While Pregnant or Breastfeeding? 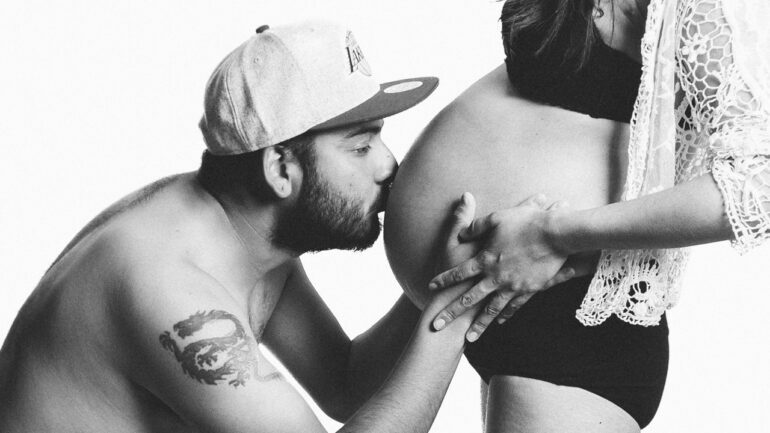 May be you have planned to mark this special time of your life by getting a very meaningful tattoo or maybe you are just concerned about your existing tattoo during the time of pregnancy, whatever the case is, all you want is the safety for your baby and yourself. You just don’t want to take any kind of risk when your baby’s health is also intermingled with your overall health. Now this article would really help you to take care of the tattoos that you already have or to determine whether you should or should not go for a tattoo. They should have the proper license to show you. Having proper license is means that they are registered artist. The artist should always wear the glass during the tattoo drawing procedure. They have the autoclave in the chamber. Now you might be wondering to know what an autoclave is. Well, it is a sterilizing machine which is used to sterilize the tattoo equipments. The floors and the surfaces of the tattoo chamber should be properly cleaned and sanitized. All the needles are new, disposable and made for single use only. The dressing should be packed, sterile and unopened. The artist should be available for the first 24 hours after you are done with the tattoo. The main concern about doing tattoo during the time of pregnancy is the contacting any kind of infection. The infections include Hepatitis B and HIV but the risks are very small. It would be really better if you can just wait for a while until your baby is born. A lot of women think that if they have tattoo on their back, they will be unable to get an epidural but the medical studies conducted on this particular thing have proved it wrong because there has been no relation found between getting tattoo on the back and epidural. Another risk is passing an infection to your baby at the time of breastfeeding but that risk is very small. It’s completely your decision but still it is safer to wait until you are not breastfeeding your child to get a new tattoo. Are you looking for the best alternative of tattoo at the time of pregnancy? Applying beautiful design of Henna could be a smart decision. According the ancient beliefs Henna brings the good luck and safety in the child birth. There you can find different types of Hennas. Natural, safe hennas stain the skin with different colors like chocolate, orange, Cinnamon, red brown etc. The color of Henna lasts for not more than four weeks. Always remember one thing that a natural Henna never comes in a color of black and that’s why you should ensure the artist is using pure Henna, not the black one. No matter whether you are pregnant or not, black henna is not safe for anyone.